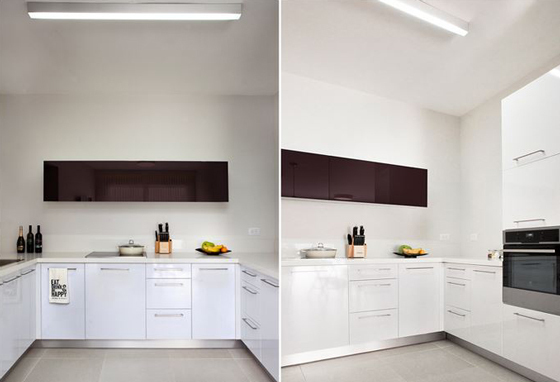 Designed by Studio Dana Shaked, this highly minimalist apartment is located in Kfar Saba, Israel. 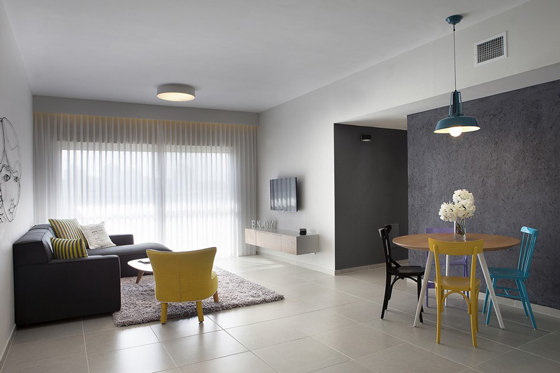 According to the designer, the owners of this home- a young couple request a minimalist yet modern design. 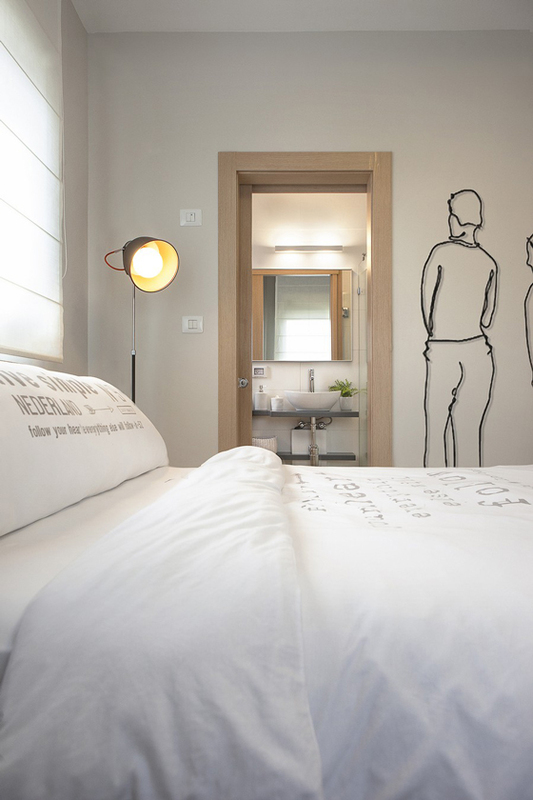 Basing on the requirement, the designer cleverly combines industrial style and a wink of humor in this place. 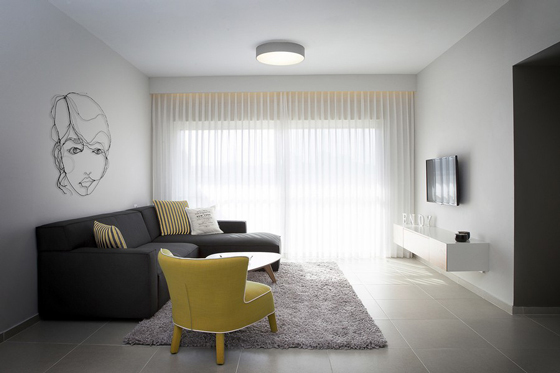 For example, the dining area is composed of four chairs that vary in shape and color; minimalist wire artwork in widely used in the room; clean lines of furniture and floating bed continue impress viewer with contemporary youthful look. Moreover, the designer also “replicated” the dinning area design in balcony terrace. 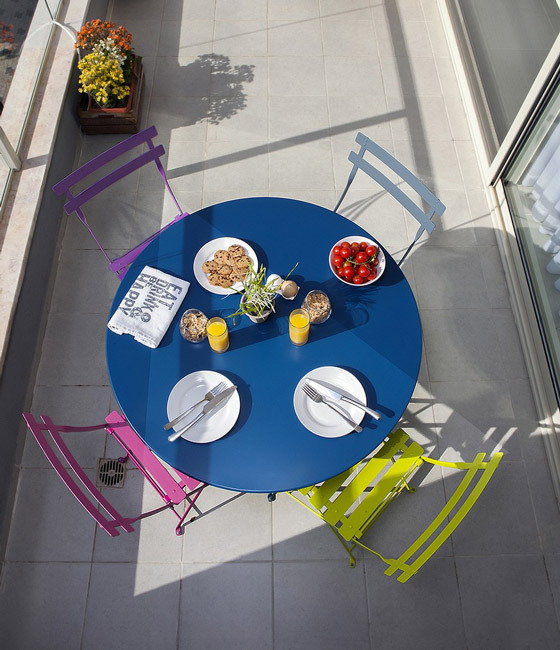 Four color chairs and same style table makes things fresh and colorful for outdoor relaxation.